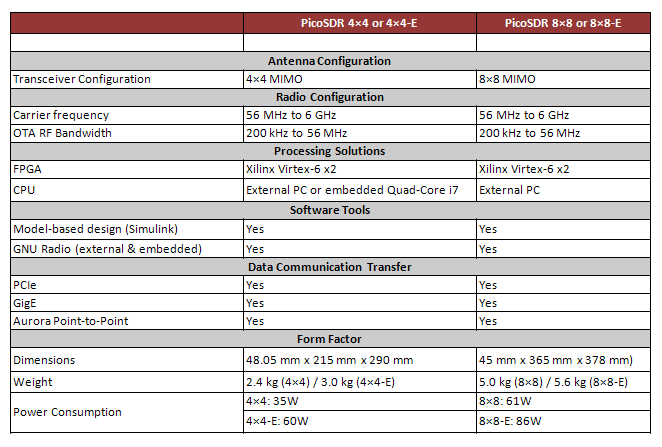 Supports MIMO + the following FDD LTE bands (2,3,5 and 20). For other bands, please contact us. Supports Time Division Duplex (TDD) mode. Tested on band 41, for other bands please contact us. Transmit and receive in non standard bands. 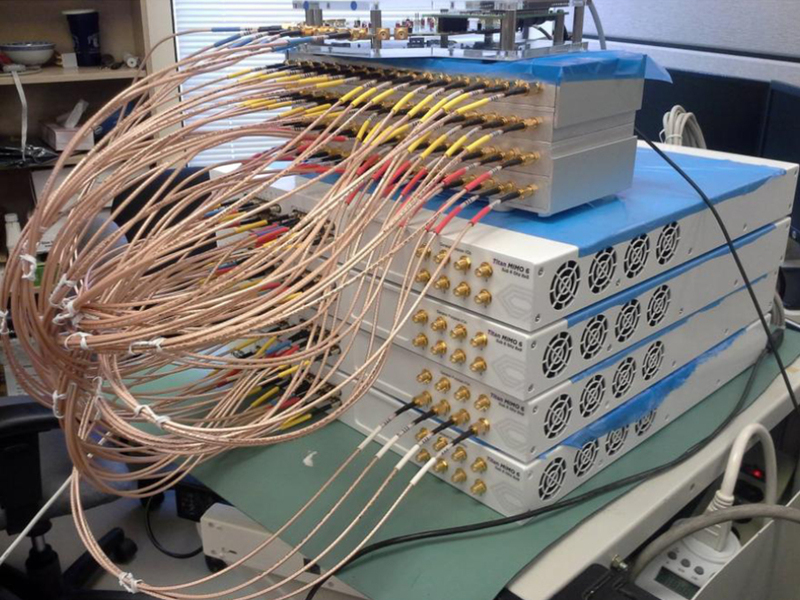 CBRS and LTE 5 GHz unlicensed tested, for other bands please contact us. Transmission Mode (TM1 and TM3). Contact Nutaq for other transmission modes. Time advance for external RF devices like repeaters. 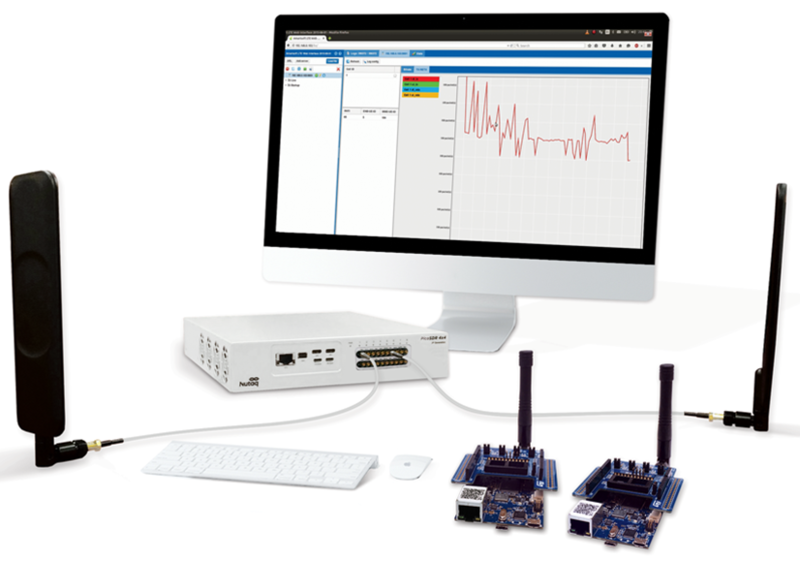 Prototyping is easier than ever with this new 4×4 MIMO SDR platform, with 4 channels perfectly synchronized on one FPGA. Use Simulink to leverage the power of a large Virtex FPGA without writing a single line of HDL code. 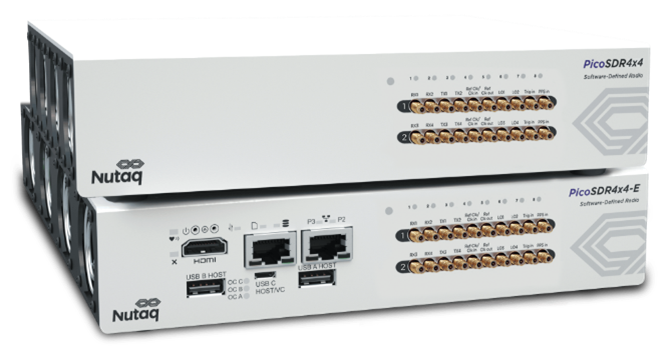 70 MHz to 6 GHz on one single radio: Unlock the full performance of the AD9361 across all frequency bands. 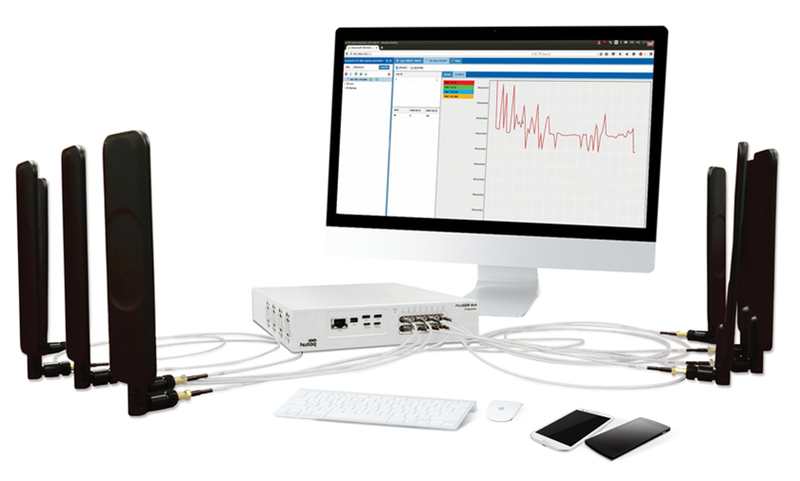 The PicoSDR 4×4 relies on one single 70 MHz – 6 Ghz radio card, built on the agile and high-performance AD9361 Radio Frequency Integrated Circuit (RFIC), that offers the full performance on all bands frequency. Phased-array, beam forming, direction finding and MU-MIMO is now affordable with this new 8×8 MIMO SDR, offering 8 TRx channels per FPGA. 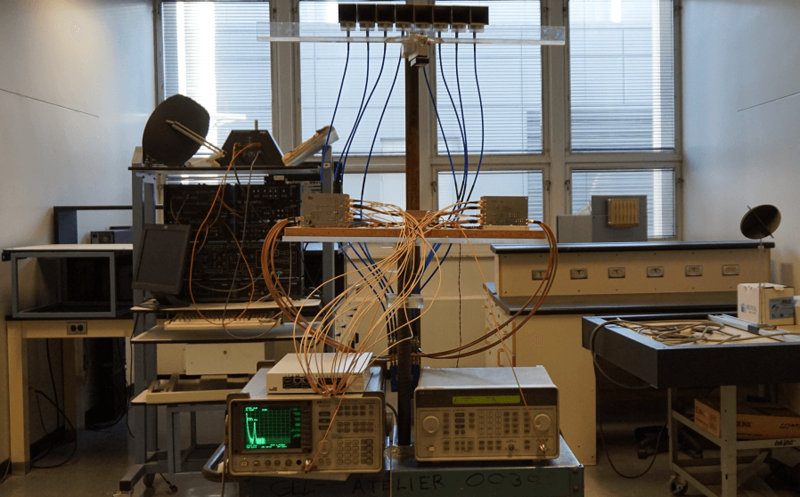 With the ability to connect two units for perfectly synchronized 16×16, automatic gain & phase calibration, dedicated links to bring all IQ streams into one master FPGA, building large MIMO systems has never been easier. The PicoSDR 8×8-E relies on one single 0-6 Ghz radio, built on the agile and high-performance AD9361 Radio Frequency Integrated Circuit (RFIC), that offers the full performance on all bands frequency. The PicoDigitizer MI250-Series is a high channel density, phase coherent, FPGA-based table top DAQ solution. It incorporates up to 16 channels on a Virtex-6 FPGA, sampling at 250 MSPS, and offers an embedded version which includes an Intel Quad-Core i7 processor for standalone applications. The PicoDigitizer 250-Series is a high speed ADC-DAC processor solution which combines the power of a large FPGA with high sampling speeds, while accelerating the development cycle by eliminating the need for HDL hand-coding. At the core of each processor node (one or two nodes per system are available) is a Virtex-6 FPGA, which interfaces with a dual channel 250 MSPS A/D and dual channel 1 GSPS D/A. 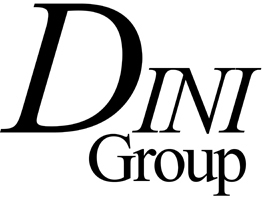 A model-based development environment allows for rapid deployment and testing of algorithms without hand-coding of the FPGA. To maximize the power and flexibility of this small table top solution, the PicoDigitizer 250-Series is available in a dual channel, dual channel embedded, or quad channel configuration. 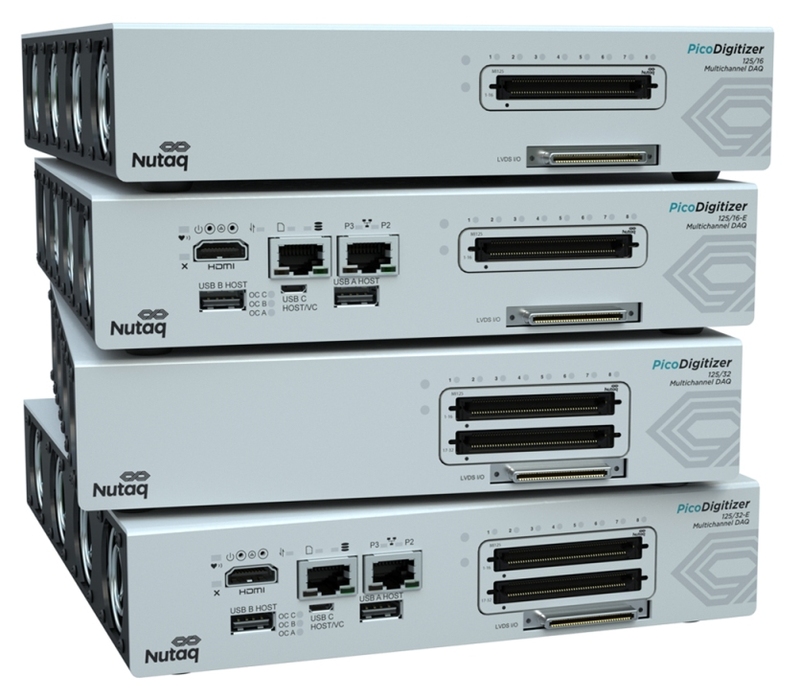 The PicoDigitizer 125-Series is a high channel density, phase coherent, FPGA-based table top DAQ solution. It incorporates up to 64 channels on a Virtex-6 FPGA, sampling at 125 MSPS, and offers an embedded version which includes an Intel Quad-Core i7 processor for standalone applications. 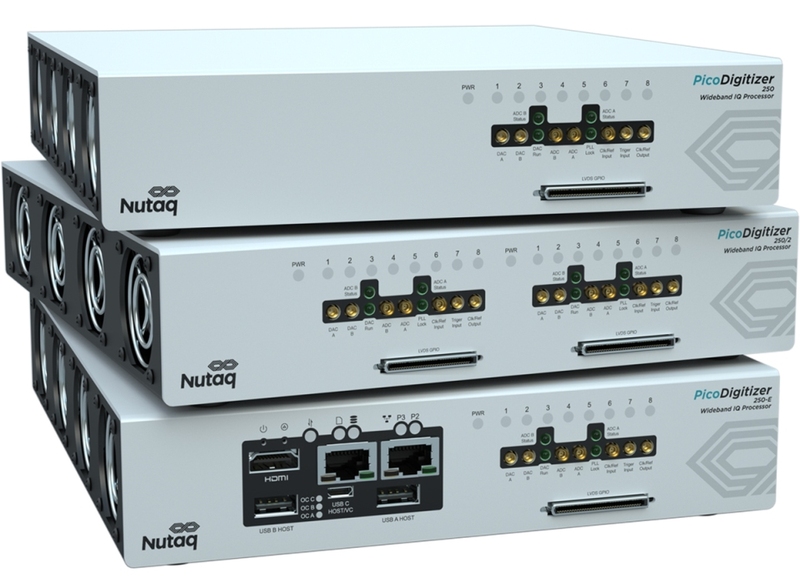 Additionally, signal generator outputs (DACs) can be added to the system for combined multichannel acquisition & transmission processing. that significantly reduce the time customers spend on low value-added tasks such as programming interfaces, adjusting FPGA constraints, debugging Host drivers, etc. 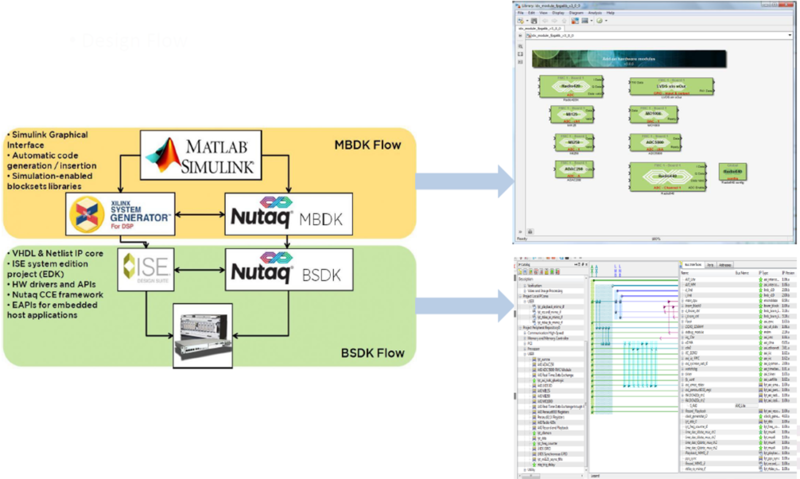 Nutaq’s development framework also features seamsless integration to model-based design tools (such as Simulink and GNU Radio), combining a graphical development environment and automatic code generation. 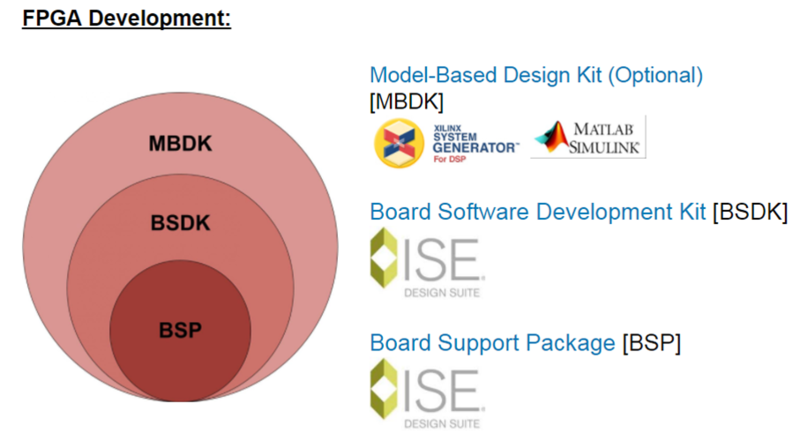 These tools greatly accelerate the development of applications, shorten the development cycle and reduce project costs. 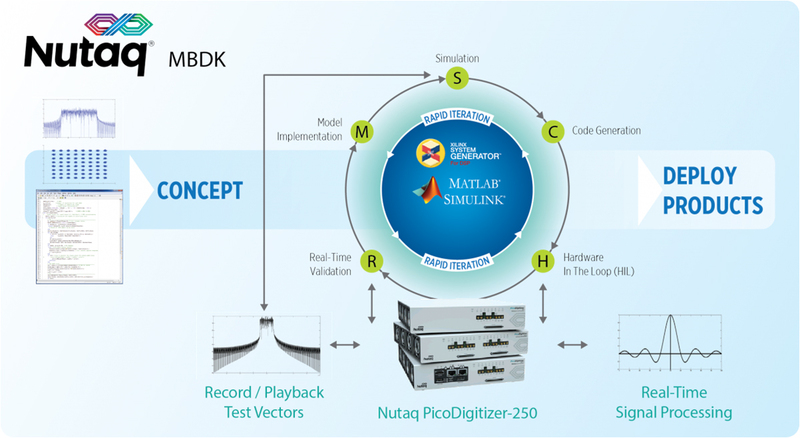 Nutaq’s software tools are designed to enable and facilitate migrating from our standard products to a modified, customized or even miniaturized versions of them. 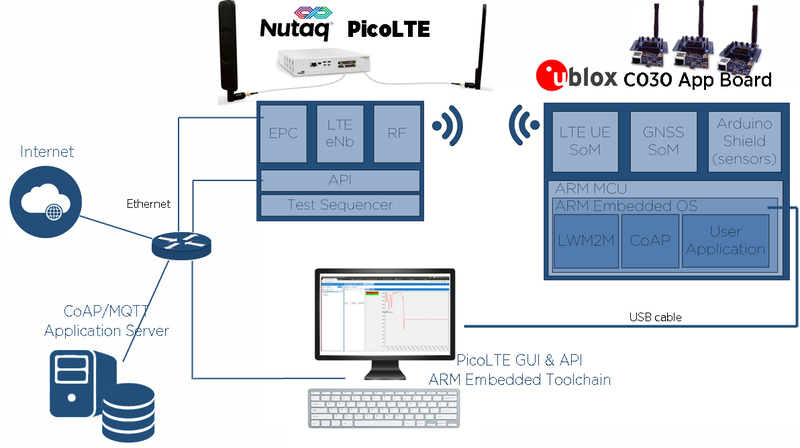 Built for embedded applications, Nutaq provides complete support for Linux and Windows environments on x86 processor architecture.